You have really inspired me today Jane. I just adore your pencil work. I created a post for the new Mo's Clubhouse Blog featuring colored pencil work and I included this card. I'm sure you'll inspire lots of other people too. We'd love to have you share your work on the FB Clubhouse page too. Hugs! I know what you mean...my niece was 18 last week! A brilliant card and I am in awe of your colouring skills. 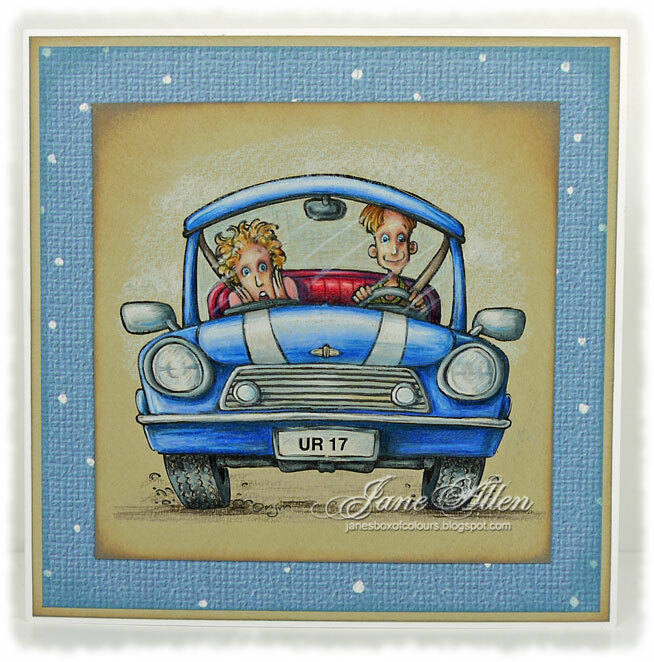 Great card Jane and a wonderfully coloured image too. Your blue is so vivid... how do you do it Jane. You bring each picture to life. Mo Manning images are fantastic. Jane, this is just stunning... I admire all your work! Thanks for sharing with us at Mo's Digital Pencil Challenge. Good luck! So glad to see you colouring Mo images again! Please keep them coming, they all look awesome! Thank you for joining our challenge at Mo'S Digital Pencil.